Talk about the soundtrack to one's youth. The voice of college football on television for as long as there will be college football on television. Always had the best games. When you heard his voice, you pretty much knew it was time to plop down for 3 hours and enjoy! RIP. One of the legendary voices of the game. Whoa Nellie is right. Back before TVs were ubiquitous in dorms and PCs didn’t exist, I’d go to the (then) UC and watch Saturday afternoon football on the lone TV there before we played later that night. Keith Jackson was the soundtrack of sports Saturdays. ... and where was that TV located in the UC? Really pushing the memory bank here but if I recall correctly it was a “big” console TV located in a little lounge area located up that large staircase on the left as you entered the UC from the McAlister side. By big it might have been a 25” TV, if that. Really pushing the memory bank here but if I recall correctly it was a big console TV located in a little lounge area located up that large staircase on the left as you entered the UC from McAlister. Exactly. I had to think for a bit, but that's where it was and an old wooden console set. One forgets how simple things were. RIP Keith ........ Great Memories !! I remember him doing the Georgia at Tulane games in the early 70's. 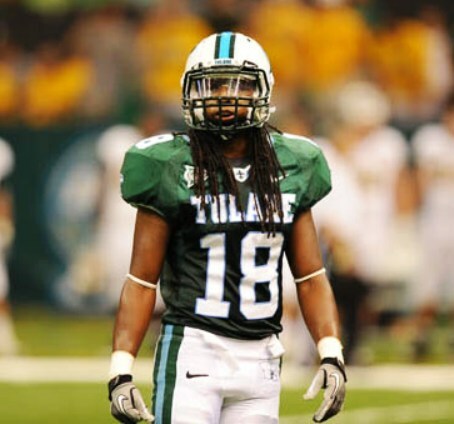 Tulane a winner that day in the Bennie Ellender era. Think i'm right about this, it was an ABC broadcast. If you were watching a game in which Jackson was doing the play-by-play you knew you were watching the best game of that weekend. RIP.